From the fog bound coastline of Newfoundland to the deserts of North Africa and the rainforests of Queensland, in BBC's First Life David Attenborough finds evidence in fossils and living animals of an extraordinary period in Earth’s history, half a billion years ago, when animals first appeared in the oceans. From the first eyes that saw, to the first predators that killed and the first legs that walked on land, these were creatures that evolved the traits and tools that allow all animals, including us, to survive to this day. This is a story that can only be told now because in the last few years, stunning fossil finds at sites across the world have transformed our understanding of the first life forms, and the latest technology allows us to recreate the first animals and their environments with photo-realistic CGI. 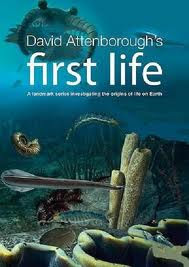 David Attenborough's First Life from Atlantic Productions on Vimeo.